COLLEGE students have taken charge of a kitchen as part of Emsworth British Food Fortnight. Pupils from Highbury College took over designing a menu, cooking and service for a day at Brookfield Hotel in Havant Road, Emsworth. 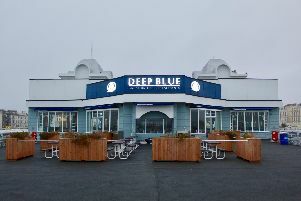 Students from other colleges in the area have also been invited to take part, giving them a unique restaurant experience. Restaurant manager Keith Adams said: ‘I always have complete faith when the students take over the kitchen. ‘Some of them have only been in college for four weeks, but the standard of food is incredibly high.